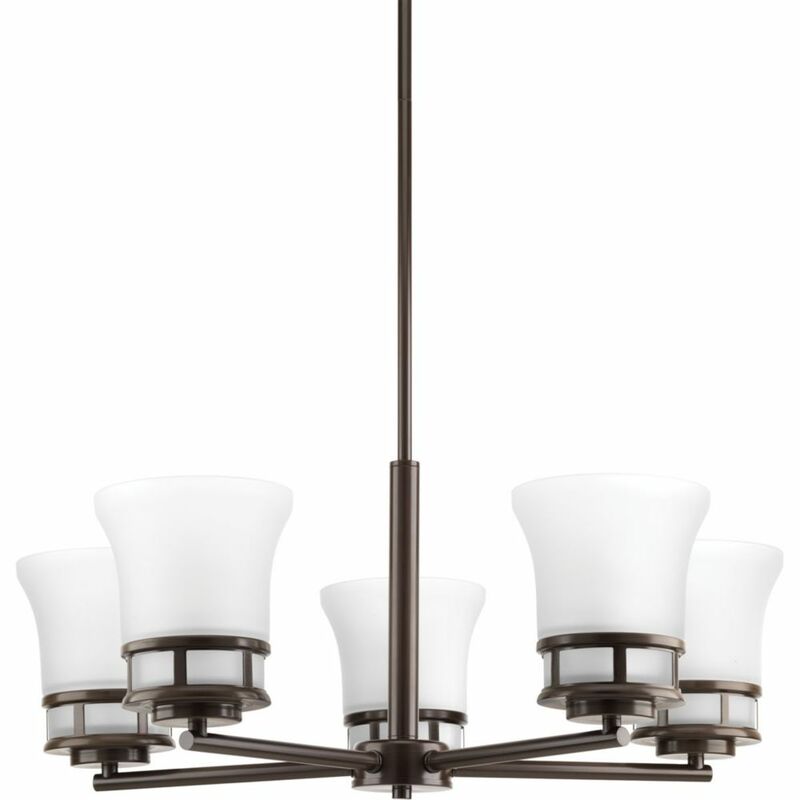 Five-light chandelier with smooth forms and windowpane style gallery that produce a beautiful, modern gas light effect. Overscaled tubing and etched glass shades offer substance within the sleek frame. Available in Antique Bronze and Polished Chrome finishes. Cascadia Collection 5-light Antique Bronze Chandelier Five-light chandelier with smooth forms and windowpane style gallery that produce a beautiful, modern gas light effect. Overscaled tubing and etched glass shades offer substance within the sleek frame. Available in Antique Bronze and Polished Chrome finishes.